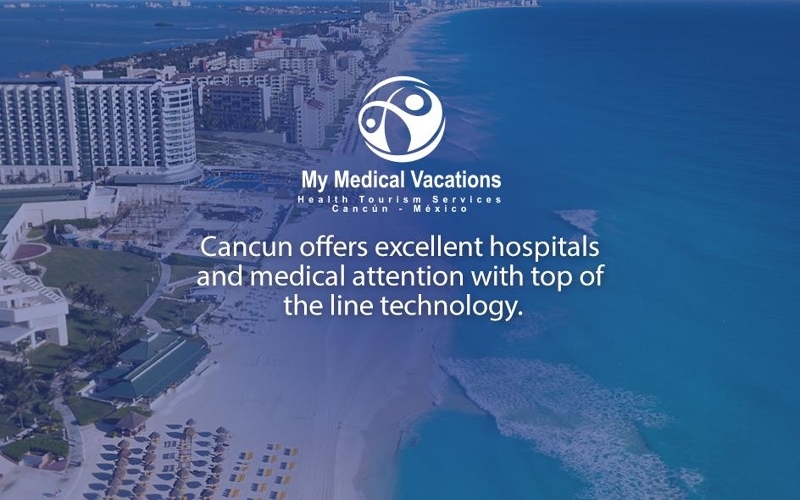 My Medical Vacations Plastic Surgery is a leading plastic surgery provider in Mexico that aims to offer the highest standards of aesthetic treatments and medical tourism service in North America. 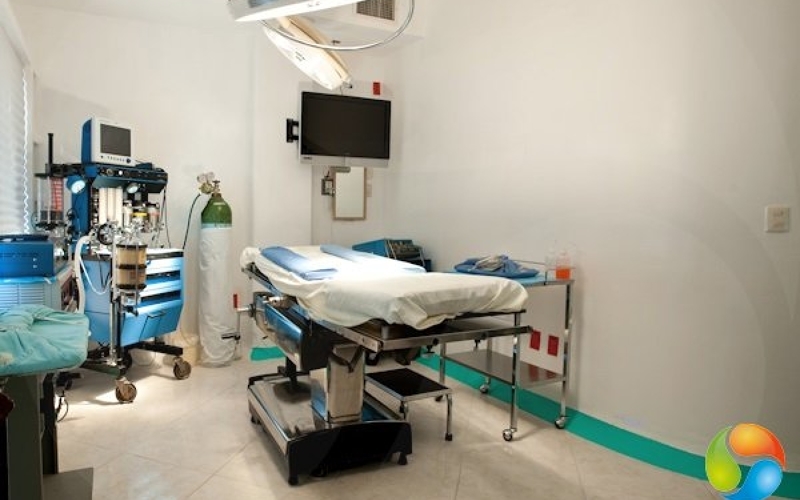 The medical center is one of the most renowned Cancun plastic surgery centers in Mexico; thanks to state-of-the-art health care infrastructure and effective surgical techniques. 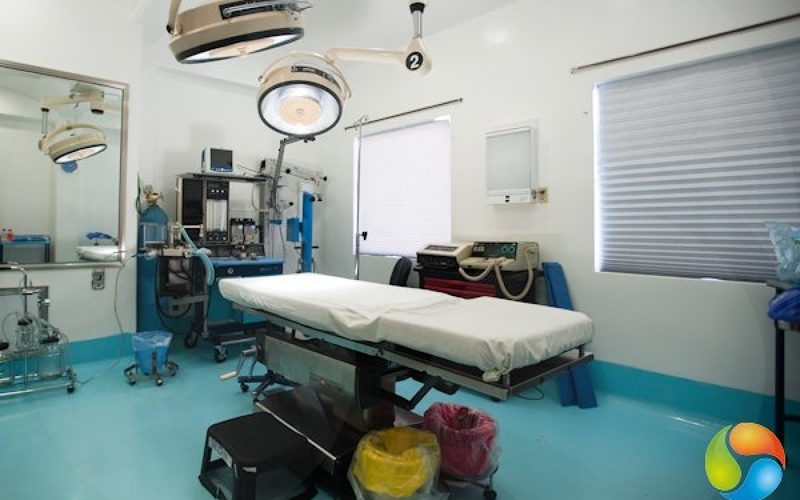 Cancun plastic surgery doctors have performed thousands of successful procedures including breast implants, tummy tuck, liposuction, nose surgery and facelift. The board certified surgeons of My Medical Vacations Plastic Surgery hold more than 10 years of experience, bringing scientific practice and artistic skills to local and international patients. The center’s bilingual medical tourism consultants will be at your beck and call and will attend to all your needs. With a personalized treatment plan and non-invasive approach; you will love the new you. Your safety is the doctors’ main priority. 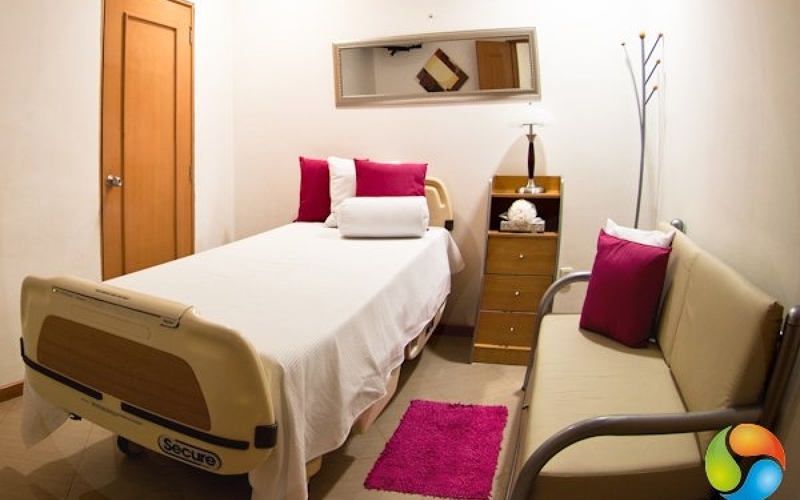 That’s why your plastic surgery in Cancun will be performed in a modern private hospital equipped with all the amenities and facilities you need to ensure a successful treatment and comfortable recovery. Plastic surgeons will be by your side every step of your self-enhancement journey in Mexico assuring you look as good as you feel and get home safe and beautiful. Cosmetic surgeons in Cancun always aim to meet every person’s unique needs in a very professional and personalized manner to achieve safety and value for money. 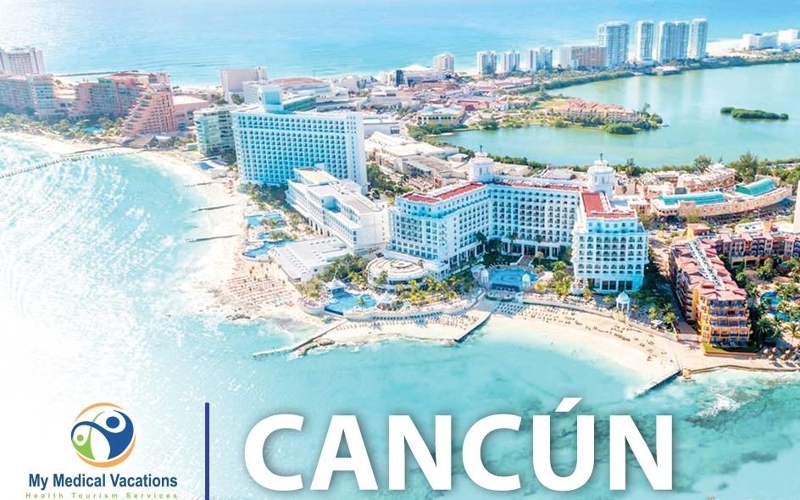 During your stay in Cancun, the center's travel guide will help you make the most of your vacation in Mexico and will arrange your hotel bookings, airport transfer and sightseeing tours.The day sightseeing tours include boating excursions, jungle tours, archaeological sites such as the new world wonder and Chichen Itza. Connect with My Medical Vacations Today! Hello, Everyone! Tomorrow I go home after a surgery I stressed so much about having away from home. What a relief to know my worries were for nothing. All of you, Betty, Ana, Alex, Paco and of course Dr. Samano took the utmost care to everything I needed before and after. I might add the family and Friends stressed even more than I did, and I was the one having surgery!! Betty talked to them personally and answer all their questions as well. Thank you so much to everyone helping achieve a goal I wanted a very long time. From the very first contact I had with MyMedical Vacations (Katie), via the MyMedical Vacations website portal, was so helpful. Katie’s professionalism, punctuality in responding to requests, questions, and her knowledge of all to do with the procedures and the area was beyond exemplary. Katie also provided information and contacts required for hotel arrangements. For example, Katie went to great lengths to find me a travel agent to help arrange with my hotel that I wanted to stay in after my surgery and all other necessary things to get me there. I was also provided information on all aspects of the procedures, the information regarding appointments and processes and payments. After I arrived in Cancun I was promptly met at the airport, quickly taken to my hotel where reservations had been made for me…. then I started meeting the team. The team is with you for all appointments, lab work, trips to the office visits, hospital. I cannot say enough good things about everyone of the team that I met. Paco, Bettye, and Ana (my nurse). Everyone went above and beyond for me. I felt safe and never had to worry about anything. It made my whole trip worry free. I will use them again the very near future. This is my second trip to Cancun for plastic surgery with My Medical Vacations. This time I came for a breast lift and augmentation, and some liposuction. I’m very happy with the results Dr. Sámano has a great bedside manner, and was very understanding. Betty is one of the concierge staff and is still one of my favorite people on earth. Betty and Andres have made my second trip just as good as the first. Ana, my nurse checked on me every morning and did a great job with my aftercare, she is also amazing! I have recommended My Medical Vacations to all of my Friends and several people have booked in based on my experience. These guys are great I really can’t say enough good things about them! Any treatment or sugery I need done will be planned through my medical vacations! They were phenomenal and I will be going back in the future. I would not only recommend them to just friends but also my family members! I know they would be in great hands. My Medical Vacations not only kept all their promises they were able to exceed my expectations. The surgical procedures were done professionally and with every comfort I would of expected anywhere. I was visited daily, after a brief overnight stay at the clinic, by my nurse (Christina) who. Saw to my every need. She was professional while maintaining a friendly environment that made my recovery pleasurable. My driver and facilitator (also named Christina) was always on time and went the extr mile to ensure my comfort. The rest of the staff (Katie and Dr. Carmona) were totally professional and very friendly. My procedure was a success and far exceeded my expectations. We will be returning in November so that my fiancé can also have a procedure done. I would not hesitate a moment in recommending these services to anyone. These people managed to become friends in the 8 days I spent recovering in beautiful Cancun. I had surgery previously at perfection & Victoria clinic both doctors were average at best. I met Dr. Carmona twice, I met him a year ago thru My Medical Vacations but was persuaded to go to perfection by a local person I met as it was “cheaper”, yes there are many other cheaper doctors in Mexico but if you´re looking to be happy with results go to Carmona I ended up meeting with him just recently, a month ago, to correct my surgeries and did he ever I am only 2 weeks into healing and the results are amazing!! I have also recommended 3 other of my gfs who are all going to see him and told them to arrange everything thru Katie Lynas, who is the Coordinator of My Medical Vacations within in the Next month or 2!!! I’m very picky! the quality and the staff / team from the medical concierge, to the nurse and the surgery center and the standards are 10 out of 10!! I will be going back again!!! I had a very pose experience. Katie Lyndas was priceless with her help before and after surgery and all I have to say about Dr Marco Carmona is that he is an artist. I saved a lot of money, got VIP treatment, had a great doctor, and recovered in Paradise. Highly recommend mymedicalvacations!! On October 3rd, 2013 I had my procedure performed. Not only did Dr. Carmona continuously make sure I was comfortable but he ensured me that the results would be amazing. It was super scary coming from Canada to a foreign country and most could agree, though this experience was everything but scary. My procedure went very well and I cannot explain to you how happy I am. Even though my nose is very swollen it looks very natural as if I hadn't had surgery and it's beautiful! I could go on and on because Dr. Carmona is the best surgeon I've ever met. From the moment I entered his office to the day I was flying back home he took care of all my needs and made it a very relaxing journey to a new and improved me! Was amazing, So beyond pleased... the day after the surgery i was up and walking on the beach... a bit sore but nothing i couldnt handle.. I am not 3 days after the surgery and i am feeling great! :) I am happy with how smart and passionate he is about his work. I would recommend him to anyone. And only go to him for any procedure. 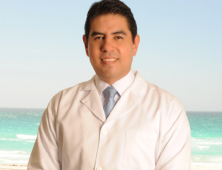 After a long research I fiund Dr. Marco Antonio Carmosa as the most popular and requested dr. My experience was phenomenal, he was very informative since the beginning and explain me everything that I need to know about te procedure. Is been 2 weeks after my surgery and the result is way better that what I expected, I almost have no pain and I feel better! I definitely recommend him! I feel very comfortable with him! Thank you Andres, Katie and Lupita (nurse) for taking such good care of me during my time in Cancun. My opinion is that you run a great company, and that you yourself are honest, caring, have the utmost integrity, and that you put the safety and well being of your patients first and foremost. From the moment Katie picked me up at the airport, I felt like I was in good hands, and her sense of humor and zany energy was refreshing. Nurse Lupita is a darling, and she made me feel safe and secure and cared for in those first few difficult days post surgery... It was lovely getting to talk to you at length...I wish you all the best with your business, and thank you for being understanding about my switching hotels abruptly. Had to feel that vacation vibe, lol. And to finish, I really appreciate your sincere concern for people. It did not go unnoticed that you and your staff really care and do your best to make sure that your clients are safe and happy and well taken care of. I have already referred my friends to you, and I am looking forward to my next trip to Cancun with my husband to get dental work and will happily once again book the trip through your firm. I have traveled twice now to Cancun to have surgery with Dr Carmona. The standards are excellent and I could not have asked for a better result. 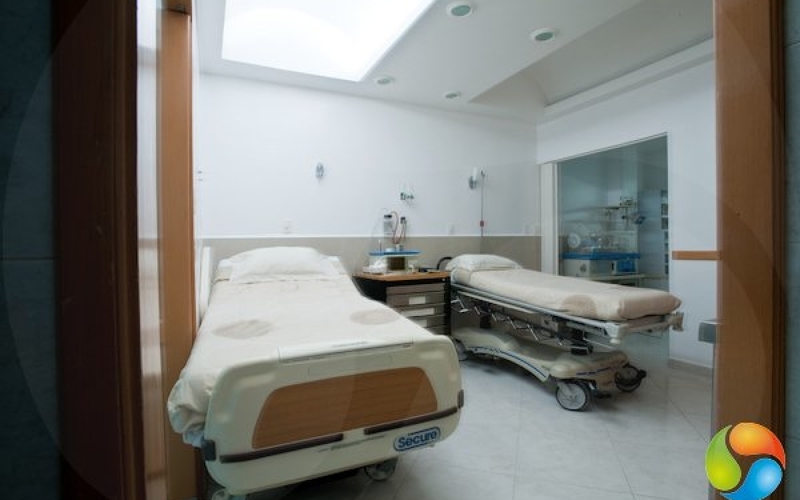 They are very professional and patient safety and care is at the top of their list. I would highly recommend it to anyone. My Medical Vacations plan everything for you and make this experience worth while. Hello I had very good experience with the hospital I choose . My Dr Marco Carmona was really good I am very happy with my results . On the day of the surgery , all happen quickly and professional . For me it wasn't very painful, 3 day later I was alredy walking and I was feeling good . All thenks to my dr. Marco Carmona. I couldn't imagine for better results . I live in Toronto, Canada. I am a frequent visitor of Playa del Carmen Mexico. While I was there February 2013, I was referred to Dr. Carmona through a friend who has had breast augmentation done. I booked a consultation and was quite pleased with Dr. Carmona and staff. His English was very good and was extremely knowledgable. I booked my appointment for surgery one week later. Surgery day was exciting and everyone at the clinic made me feel very comfortable. Recovery was amazing. I'm 3 months post op and feel great. This was the best decision I made, and am so happy with the results. I plan on visiting him for check up and consultation for rhinoplasty this fall. Overall my experience was so easy and comfortable. 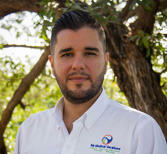 I highly recommend Dr. Carmona. Thank you, Michelle. For a long time I wanted to increase the size of my breasts, however out of my nature I am very nervous and anxious about doctors and hospitals. Obviously I was also skeptical about even having the breast implant procedure done. Over the years I checked out various doctors in both Oslo, Norway and Cancun, Mexico, but never felt I found the right doctor for various reasons. I came over Dr.Carmona's web page just searching online. Since I was a foreign in Mexico I asked around in Cancun, Playa del Carmen and with some of my co-workers at the model agency if anyone had heard anything about him. And the rumor was that he was very good, and a known plastic surgeon among the other models. So I made the appointment and I was pleasantly surprised. I was met with kindness and professionalism from both staff and Dr.Carmona. After my first consultation I decided I was going to do my surgery the following week. Making my story short, what I want to share is the confidence he gave me, the way he answered all my questions and doubts I had regarding the surgery, the clinic and post op. I could immediately tell he was a very experienced doctor, and a perfectionist regarding his work, as it shows! I am extremely happy with my results, and I have Dr.Carmona to thank for that! So for anyone who are interested in having any plastic surgery procedure done, I would definitely recommend Dr.Carmona, as he exceeded all of my expectations! The Doctors are amazing in that they are sincerely genuine! They care about the well being first of their patients with a long term outlook regarding the best recovery possible for the patient and the results achievable. You are not led to believe in expectation of false or unrealistic ideas, instead you are cared for putting your well being first and foremost in a very realistic and safe environment with fully qualified professionals and those who practice to the full in compliment of the Doctors they work for. 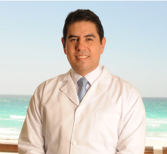 Dr.Fuentes (OBGYN, Guynocology) is not only the best Doctor and safest doctor in all of Cancun to trust... but maybe most of Mexico! I have never been treated by Doctor as well as I was by this Doctor in Canada. I will never trust another Doctor after experiencing the sincerity's and integrity's of these ones and look forwards to their future care also! I cant say enough or enough thanks to what they deserve! Medical Tourism is a fascinating field with great benefits for the international patient. We understand the importance of high quality medical attention and we strive to provide this to our patients every day. Our services ensure a pleasant journey for our patients, who find in My Medical Vacations, a great option for their medical and aesthetic needs, at the same time as they enjoy a beautiful 5 star destination during the recovery. So, I encourage to discover this new and longlasting trend, and I am sure that you will be amazed with what our experienced team has to offer. 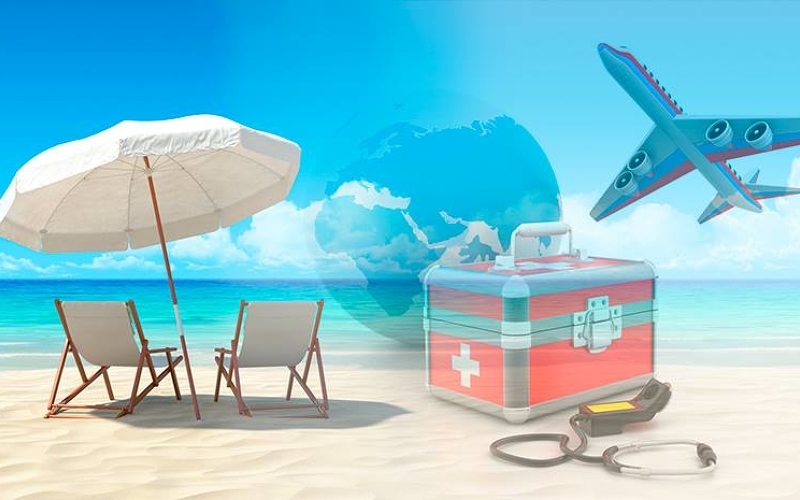 Medical Tourism is a fascinating field with great benefits for the international patient. We understand the importance of high quality medical attention and we strive to provide this to our patients every day. Our services ensure a pleasant journey for our patients, who find in My Medical Vacations, a great option for their medical and aesthetic needs, at the same time as they enjoy a beautiful 5 star destination during the recovery. Recognized member of several prestigious institutions, among which the "American Society for Aesthetic Plastic Surgery" stands out. Due to its exclusivity it has only 2,600 surgeons worldwide, 12 of them Mexican doctors, all dedicated to the advancement of cosmetic surgery. 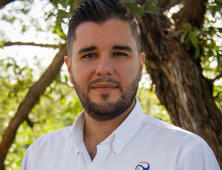 Dr. Valdez seeks to bring balance to the integrity of people in the three pillars that form them: physical, mental, social; through training and constant updating, focused on professional development and growth. This allows him to provide quality care and meet the high standards required by the practice of plastic, aesthetic and reconstructive surgery. 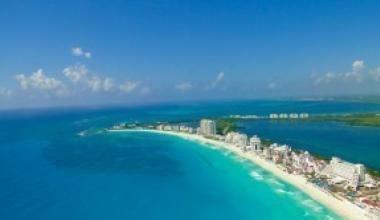 Cancun is the major tourism destination in the Caribbean, welcoming more than 3.6 millions international tourists each year. The city is a safe resort perfectly connected to major cities in the US, Canada and Europe. 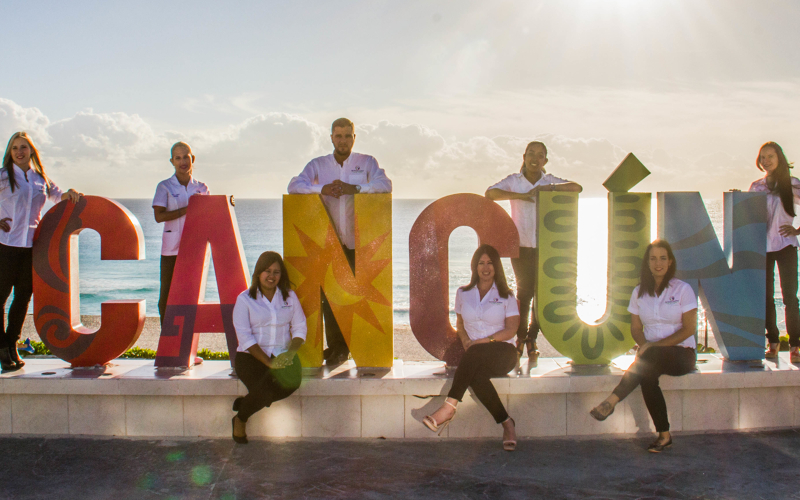 During your stay in Cancun, the travel guide will help you make the most of your vacation in Mexico and will arrange your hotel bookings, airport transfer and sightseeing tours. The day sightseeing tours include boating excursions, jungle tours, archaeological sites such as the new world wonder and Chichen Itza. If diet-friendly food is your thing, make your way to 100 Natural Restaurant/café. It offers meals as fresh and natural as possible. Try the wholesome selection of Mexican plates and fantastic sandwiches served on whole-grain bread, with options for vegetarians. Breakfast menu is very delightful and offers all natural baked goods such as chocolate croissants and apple-cinnamon muffins. 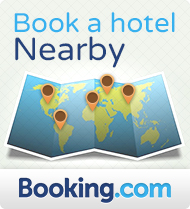 The minimalist beachfront hotel offers modern and spacious rooms with white and red décor. The infinity pool leaning towards the turquoise Caribbean Sea offers a great backdrop. Get pampered with the Collection Spa which offers a variety of moderately prices services such as chocolate facial.